As much as I love bacon, it’s a messy business to cook up a batch. My preferred method is to cook Microwave Bacon using a microwavable bacon plate. I’ve had mine a long, long time. I looked them up on Amazon and found better designed models than my round one. Why round??? They even come with tops to prevent spattering; I use paper towel. I also line the bottom with paper towel for safety reasons. 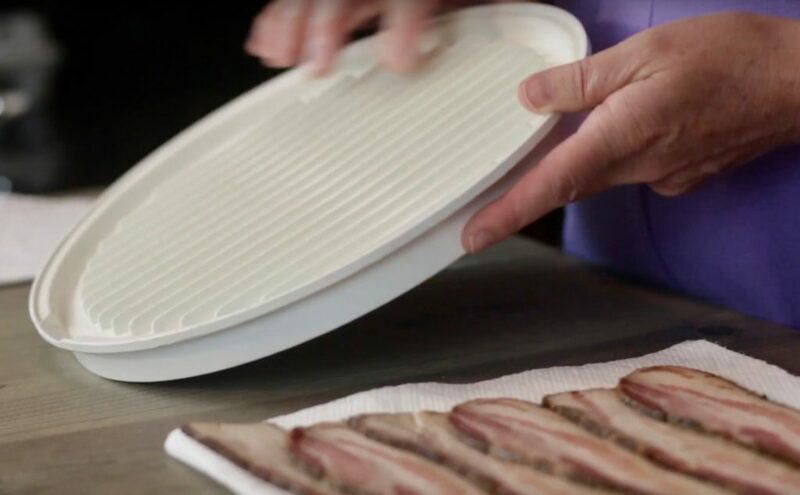 The ridges do keep the bacon grease away from the bacon, but if you’re cooking up several strips, that’s a lot of fat, the plate is hot, and the grease is slopping around in the bottom – very easy to get burned. The paper towel soaks up that grease and prevents dripping. Place a paper towel over the top to prevent spattering. Crispy bacon or floppy bacon – which camp are you in? The crew at Honeypie’s Recipes like floppy bacon, however my family members like crispy, really crispy bacon. The only thing needed to make crispy bacon is more time. 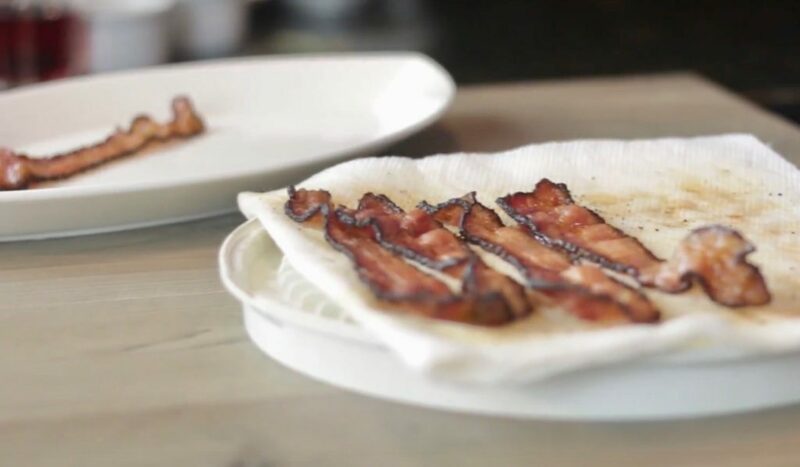 You can easily make both floppy and crispy by removing some bacon earlier and holding in a warm oven (200 degrees F) on a platter or in a warming drawer. Serve the bacon with our delicious recipe for Cinnamon Raisin French Toast. Watch the How to Cook Microwave Bacon Video here.